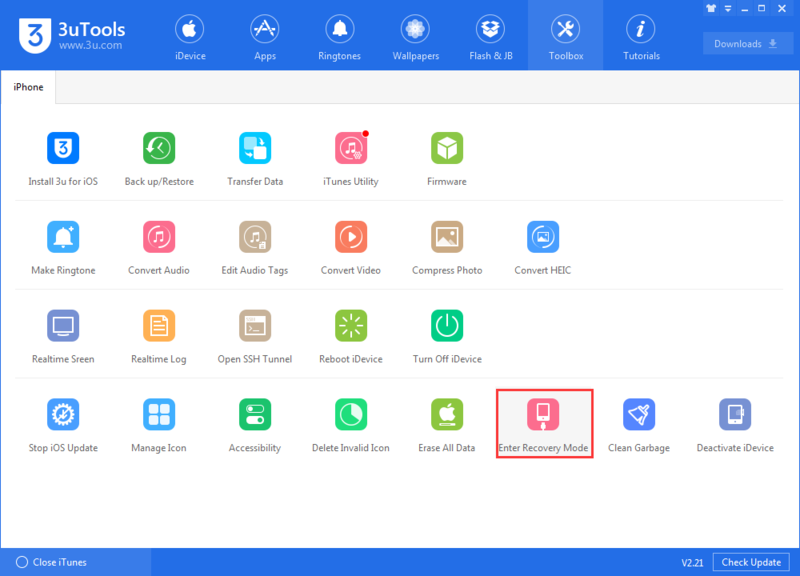 tutorial|How to Put iDevice in DFU Mode, Recovery Mode and Normal Mode? iDevice has three modes, normal mode, recovery mode and DFU mode. But what can we do with iDevices in these three modes? How to put them in DFU mode, recovery mode and normal mode? Please release the Power button as the screen become blank, but don’t let go Home button. 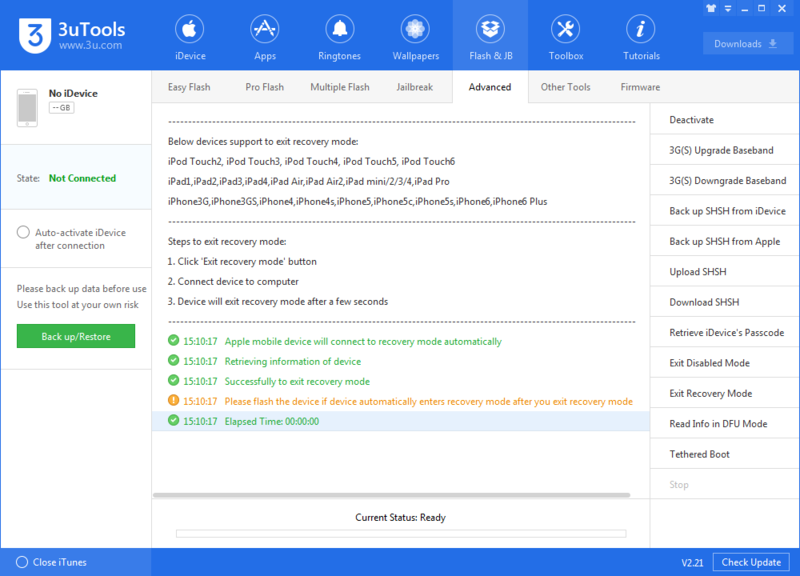 The device enters recovery mode when 3uTools detects an iOS device in recovery mode. 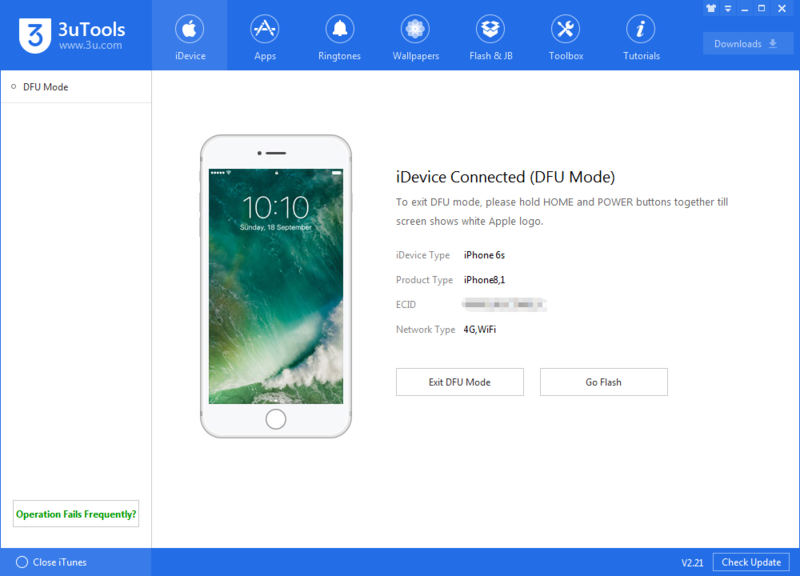 Step 1: Connect your iPhone PC with a Lightning to USB cable, and then launch 3uTools. Step 2: Press and release the Volume Up button, press and release the Volume Down button, and press and hold the Side button for 10 seconds until the screen turns black. Step 3: While still holding the Side button, press and hold the Volume Down button for 5 seconds, and then release the Side button while continuing to hold the Volume Down button for another 10 seconds. The screen should remain black. 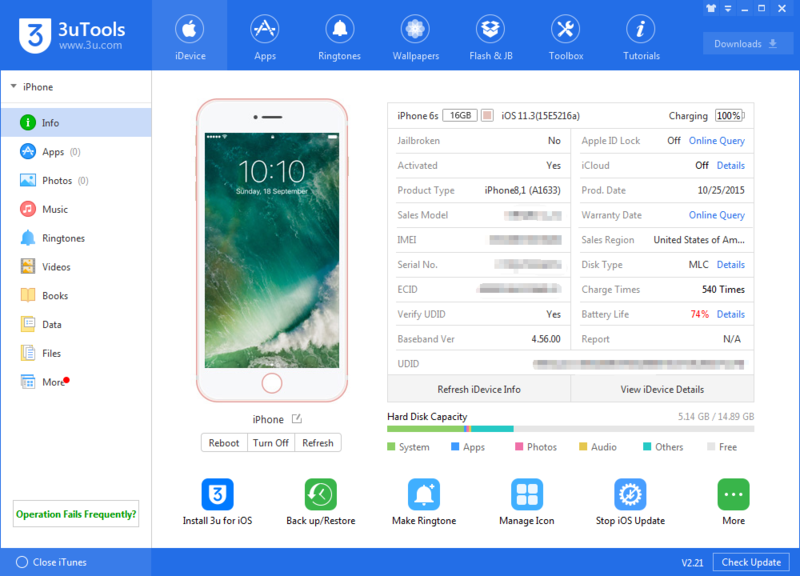 3uTools will detect your device in DFU mode. How to exit the DFU mode ?